Researchers from the University of Cambridge claim to have identified this event, down to the specific day it occurred. According to them, it was in fact an eclipse on Oct. 30, 1207 b.c. This “revelation” may come as a surprise, particularly because the Hebrew text has no indication of an eclipse. Here is the passage in question: “Then spake Joshua to the Lord … and he said in the sight of Israel, Sun, stand thou still …. And the sun stood still, and the moon stayed, until the people had avenged themselves upon their enemies” (Joshua 10:12-13). That doesn’t sound like an eclipse. But Cambridge researchers say the Hebrew word for “stood still” has the same root as a Babylonian term describing eclipses. These researchers, assuming the scripture refers to an eclipse, developed a new “eclipse code.” From their computations they were able to identify only one eclipse that occurred between 1500 and 1050 b.c.—on Oct. 30, 1207 b.c. Scientists then point to the Merneptah Stele—an Egyptian artifact dating to around 1208 b.c., which makes the as-yet earliest confirmed reference to “Israel”—as evidence of Israel being on the scene around this time period. Is this really the case? Is the Bible just describing an eclipse? The full text of the Bible account is clear. “Then spake Joshua to the Lord in the day when the Lord delivered up the Amorites before the children of Israel, and he said in the sight of Israel, Sun, stand thou still upon Gibeon; and thou, Moon, in the valley of Ajalon” (Joshua 10:12). Leaving aside the phrase “stand thou still,” it is clear that the sun was directly over Gibeon, and the moon was directly over Ajalon. These are two very different locations. Notice the next verse: “And the sun stood still, and the moon stayed, until the people had avenged themselves upon their enemies. Is not this written in the book of Jasher? So the sun stood still in the midst of heaven, and hasted not to go down about a whole day. And there was no day like that before it or after it …” (verses 13-14). This is unequivocal language. This was not an eclipse that lasted a short time. The sun and moon literally stopped moving (or rather, the Earth stopped rotating) for about the length of an entire day. Whether or not one believes this miracle occurred, that is what the text says. This was no “hiding” of the sun behind the moon. The sun remained visible for a prolonged period; it “hasted not to go down.” As the context shows, Joshua, recognizing the immensity of the task of chasing and overcoming Israel’s fleeing enemies, asked that God would allow the sun to “stand still”—to keep shining—so they could continue fighting. God answered, and the sun remained out until after Israel had wiped out the enemy. The whole point of Joshua’s request was that the sun would continue to make Israel’s enemies visible so they could not escape under cover of night. Thus, the text shows the opposite intent of the sun being “hidden” in an eclipse. The only “evidence” given for an eclipse is that the Hebrew word for “stood still” looks similar to a Babylonian word used to describe eclipses. This is the case of a single word being misinterpreted to extrapolate out a meaning contrary to the scripture. It is similar to other attempts to explain away biblical miracles. The biblical text, though, is clear. You either believe it, or you don’t. The sun and moon literally stopped moving for about the length of an entire day. Whether or not one believes this miracle occurred, that is what the text says. 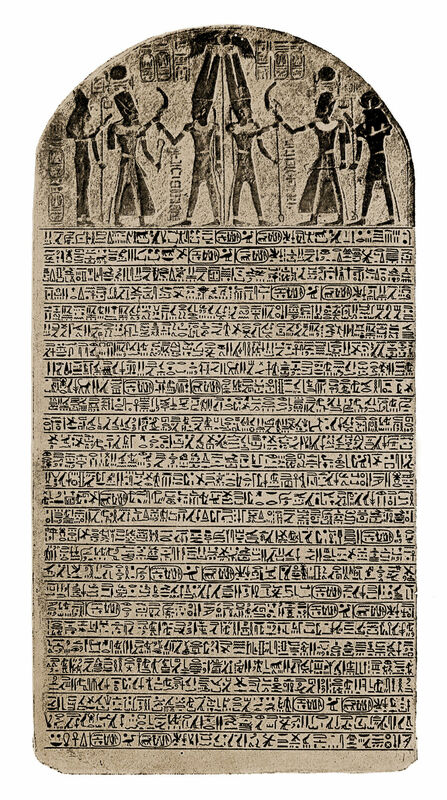 Even the Merneptah Stele (which the researchers pointed to) shows that Joshua’s battle could not have taken place in 1207 b.c. The stele, dating so close to that year, shows that Israel was an already well-established and recognized nation-state. 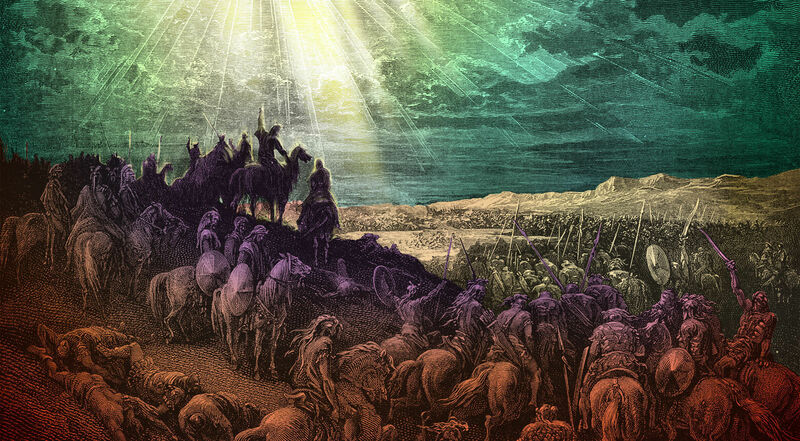 This could not have been the case if, as the researchers claim, Joshua and the Israelites had only barely begun fighting their way through the Promised Land at that time. The fact that the researchers accepted a date in the early 1200s b.c. for Joshua’s conquests exposes their belief in biblical minimalism. Biblical chronology is clear that the Israelites had to enter the Promised Land just before 1400 b.c., around 200 years earlier. Scholars, however, argue that a great deal of destruction hasn’t been uncovered for that time period. They point to other destruction layers, from the 1200s b.c., and say those mark the century of the conquests of Canaan. This is a deeply flawed assumption, because it ignores the fact that the Bible corroborates the massive upheavals during the 1200s b.c. These occurred in the thick of the tumultuous and bloody period of the Judges. And it overlooks archaeological evidence—material and textual—that does exist for massive upheaval and conflict following the traditional conquest time of around 1400 b.c. onward. There is nothing to suggest that the event of Joshua’s day was an eclipse: wrong textual interpretation, wrong century. If this eclipse of 1207 b.c. doesn’t relate to Joshua’s time period, is there anything that does? Is there any evidence for this miraculously long day? If this kind of astronomical event happened, it must have been witnessed around the world. While difficult to corroborate, there are various ancient legends of an incredibly long “day” or “night” from numerous cultures. Harry Rimmer briefly summarized some of them: “In the ancient Chinese writings there is a legend of a long day. The Incas of Peru and the Aztecs of Mexico have a like record, and there is a Babylonian and a Persian legend of a day that was miraculously extended. Another section of China contributes an account of the day that was miraculously prolonged, in the reign of Emperor Yeo. Surveying the numerous parallel records of an extended day is another study. They are, as yet, difficult to corroborate through archaeology. But there is evidence of a known massive upheaval in Canaan dating to the time of Joshua’s conquests. The background for this battle has been well illustrated through a collection of tablets known as the Amarna Letters. Again, it was not until just before 1400 b.c. that the Israelites began to enter Canaan. It took years for them to move through and gradually conquer the land. We find some desperate correspondence from Canaanite rulers to the pharaoh of Egypt dating to the 14th century b.c. These documents are called the “Amarna Letters” because they were found stored within the Egyptian city of that name. Nearly 400 Amarna tablets have been found; most are from Canaan. The letters describe a fierce group of “nomads” invading Canaan, by the name Habiru (sometimes called ‘Apiru or Hapiru). Terrified Canaanite rulers, subservient to Egypt, were watching as the entire land of Canaan fell to these invaders. The Canaanite ruler of Jerusalem, one of the last places to fall to the Israelites, wrote regarding the Habiru invasion: “Lost are the territories of the [pharaoh]. Do you not hear to me? All the rulers are lost; the king, my lord, does not have a single ruler left.” This letter is just one of dozens referencing the onslaught from the Habiru. The Amarna Letters are eyewitness accounts not merely of pesky raiders, but of Habiru invaders taking over entire lands and conquering Canaanite cities en masse. The terms Habiru, Hapiru and ‘Apiru are similar to the term Hebrew. In fact, at this point in the Bible account, the term Hebrew is used far more than the term Israelite. History records the Habiru presence around Canaanite lands, in some form or other, as early as around 1800 b.c. This aligns with the Hebrew presence in the land before the sojourn in Egypt. At the start of the 14th century b.c., the pleas of the Canaanite kings fell on deaf Egyptian ears, and their territories were gradually overrun. A very different land appeared several hundred years later, one that archaeology (in particular, the Merneptah Stele) shows was populated with Israelites. Many scholars attempt to discredit any Habiru connection with the Hebrews, stating that they were probably just bands of marauders and thieves. Yet their significance cannot be downplayed. The Amarna Letters are eyewitness accounts not merely of pesky raiders, but of Habiru invaders taking over entire lands and conquering Canaanite cities en masse. These people tore through the Promised Land to the point that the king of Jerusalem believed he was the only one left. And this occurred at exactly the same time period the Bible states the Hebrews were on the scene invading Canaan. The parallels are too stark to discount. While these letters establish a good overall picture of Joshua’s conquests, does any specific evidence support this event where the sun stood still? First, the Amarna Letters and other archaeological discoveries reveal the presence of a number of places from this biblical battle. They show evidence of the cities belonging to the belligerent kings: Jerusalem, Lachish (Lakisha), Jarmuth (Yarimutta) and Hebron. They mention Ajalon (Ayyaluna)—the valley over which the moon “stood still.” The Bible lists the belligerents as being part of the “Amorite” kingdom; archaeology has confirmed this assessment, showing the wider “Amurru” kingdom as having reigned throughout these lands of Canaan. We also see a possible identification of the Caves of Makkedah, where the fleeing kings were trapped before being executed (Joshua 10:15-17). Archaeology even corroborates the account of the kings’ public humiliation. Joshua ordered his men to stand on the necks of the kings before killing them (verse 24). This ancient practice of humiliating a conquered king is depicted and well attested to through archaeology. 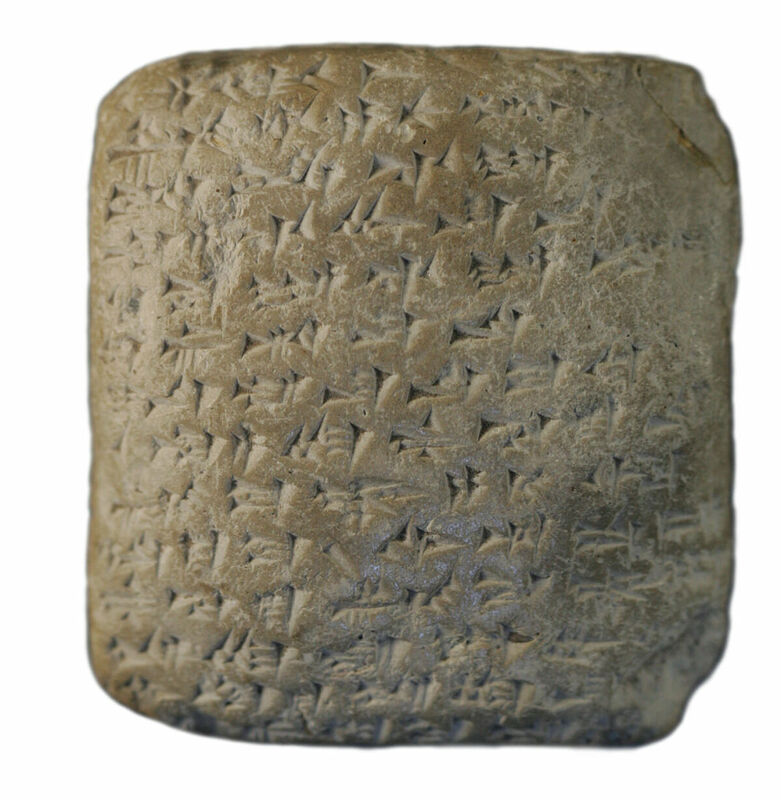 A later Amarna letter states that the Habiru killed the king of Lachish and had control over his city. The Bible records that the king of Lachish was one of the kings killed on the day that the sun stood still. The Amarna Letters also confirm that the city of Gezer fell to the Habiru, just as the Bible says occurred directly after Joshua battled these Amorite kings. However, this “overwhelming consensus” is not supported by the evidence on the ground. The evidence underlines the accuracy and truth of the biblical account—not a faithless interpretation of it, but exactly as it reads. So while we can’t point to a specific day or year when this battle took place, there is archaeological support for it. The cities and geographical locations have been found. The presence of a powerful force of Habiru invading throughout wider Canaan has been shown. There is an abundance of archaeological support for this story, and no archaeological discoveries that disprove it. The same is true for other stories of Joshua’s conquests, such as the miraculous fall of Jericho and Hazor. If we can learn one thing from the University of Cambridge research, it is that the miracle of Joshua’s day wasn’t an eclipse. Their eclipse-computer model confirmed as much. For at least the past century, some scholars have believed that the day the “sun stood still” was merely a day of an eclipse. Unwittingly, the university researchers proved this false by showing that there was no eclipse occurring during the 15th to 14th century b.c., when Joshua would have been on the scene. In fact, there wouldn’t be one for another 200 years after his time. Prof. Carl Ehrlick correctly noted that “the overwhelming consensus of modern scholarship is that the conquest tradition of Joshua is a pious fiction.” However, this “overwhelming consensus” is not supported by the evidence on the ground. The evidence underlines the accuracy and truth of the biblical account—not a faithless interpretation of it, but exactly as it reads.